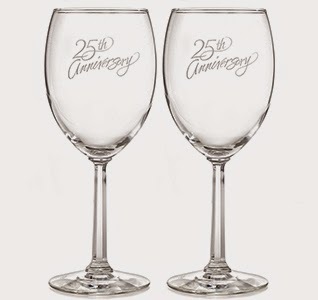 25th Anniversary Promo Gifts - Share this special moment with your customers! When we celebrating the anniversary of our brand / company, we always need and want to share it with others to raise our corporate branding and keep people aware about our company´s achievement. This is a special occasion to offer our customers with some lovely giveaways. 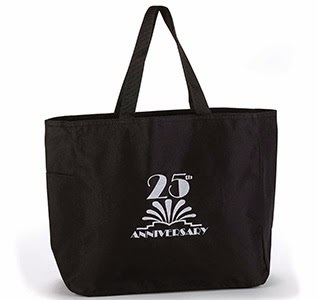 A simple tote bag could help increase your branding drastically as it will have a huge exposure to your customers as well as it is a very handy product to carry items around. You can easily add your corporate brand logo on the bag through embroidery or silk screen print. When celebrating an anniversary, we are sharing moments with our closest people which usually involve drinking a glass of wine. 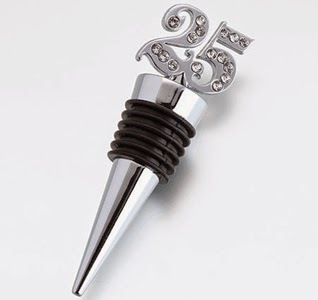 The branding in an item such as a wine stopper will definitely be a useful product for this special occasion. As this unique occasion will involve some wine drinking, it is hard not to include some high end wine glasses with our branding. This special occasion is worth to invest in high quality items to commemorate such a special event. !